The concept of ecosystem includes the abiotic (or non-living) and biotic (or living) portions of an area as well as the interactions between the two. Matter and energy flow between the abiotic and biotic components of the ecosystem. Abiotic factors influencing an ecosystem include temperature, precipitation, elevation and soil type. Scientists divide ecosystems into terrestrial and non-terrestrial. Ecosystems may be further classified by their geographical region and dominant plant type. Aquatic, marine and wetlands constitute the non-terrestrial ecosystems, while the five major terrestrial ecosystems are desert, forest, grassland, taiga and tundra. 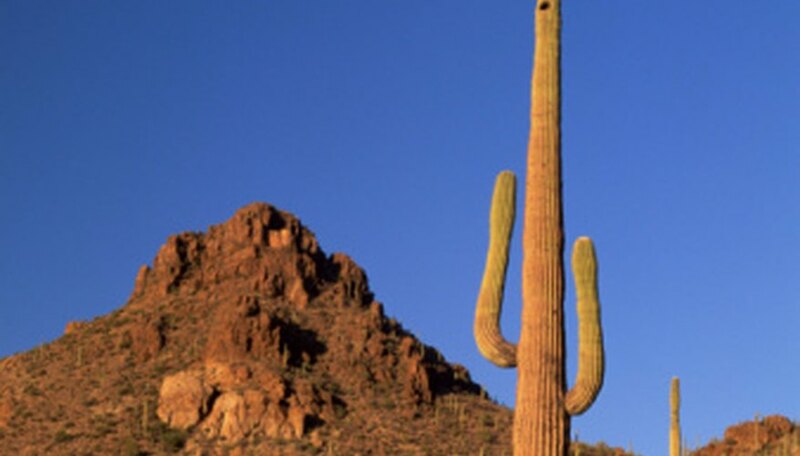 The amount of rainfall is the primary abiotic determining factor of a desert ecosystem. They receive less than 25 centimeters (about 10 inches) of rain per year. Large fluctuations between day and night temperature characterize deserts. The soils contain high mineral content with little organic matter. The vegetation ranges from nonexistent to including large numbers of highly adapted plants. The Sonora Desert ecosystem contains a variety of succulents or cactus as well as trees and shrubs. They have adapted their leaf structures to prevent water loss. For instance, the Creosote shrub has a thick layer covering its leaves to prevent water loss due to transpiration. 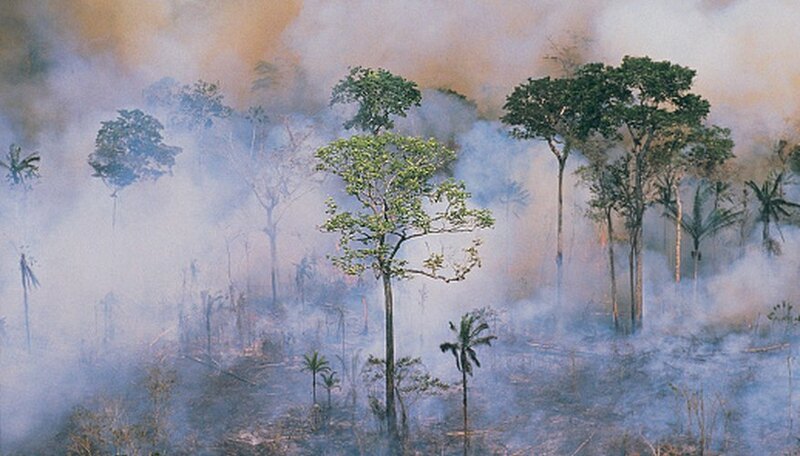 About one third of the Earth's land is covered in forest. The primary plant in this ecosystem is trees. Forest ecosystems are subdivided by the type of tree they contain and the amount of precipitation they receive. Some examples of forests are are temperate deciduous, temperate rainforest, tropical rainforest, tropical dry forest and northern coniferous forests. Tropical dry forests have wet and dry seasons, while tropical rain forests have rain year-round. Both of these forests suffer from human pressure, such as trees being cleared to make room for farms. Because of the copious amounts of rain and favorable temperatures, rainforests have high biodiversity. 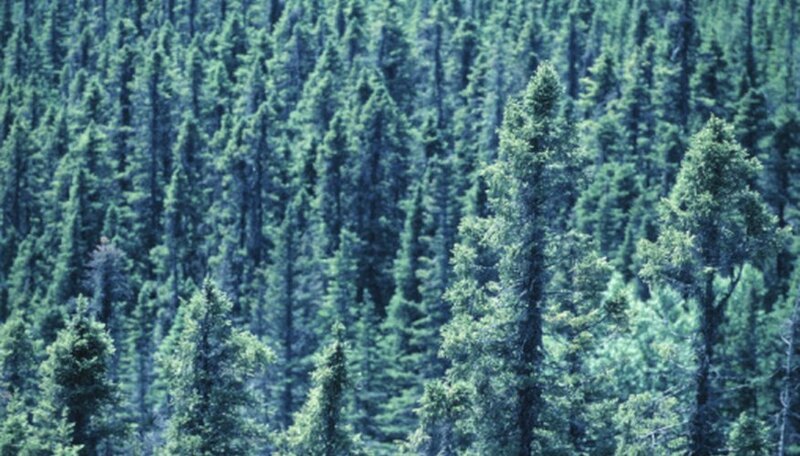 Another type of forest ecosystem is the taiga, also known as northern coniferous forest or boreal forest. It covers a large range of land stretching around the northern hemisphere. It is lacking in biodiversity, having only a few species. Taiga ecosystems are characterized by short growing seasons, cold temperatures, and poor soil. They have long summer days, and very short winter days. Animals found in the taiga include lynx, moose, wolves, bears and burrowing rodents. 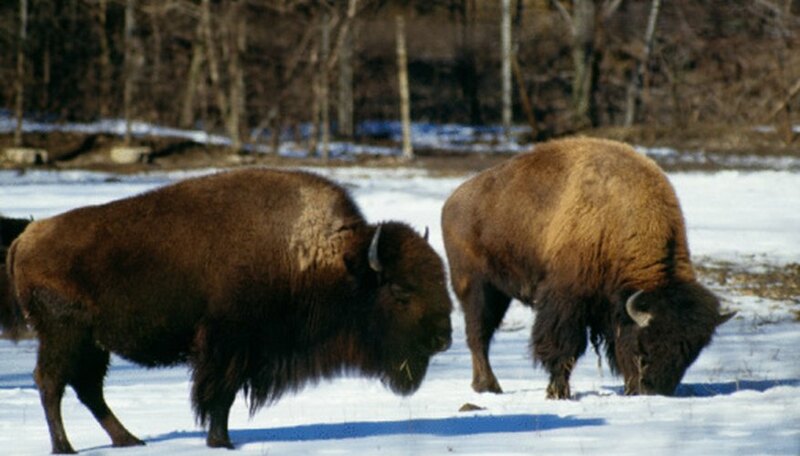 Temperate grasslands include prairies and steppes. They have seasonal changes, but don't get enough rainfall to support large forests. Savannas are tropical grasslands. Savannas have seasonal precipitation differences, but temperatures remain constant. Grasslands around the world have been converted to farms, decreasing the amount of biodiversity in these areas. The prominent animals in grassland ecosystems are grazers such as gazelle and antelope. Two types of tundra exist: Arctic and alpine. The Arctic tundra is located in the Arctic Circle, north of the boreal forests. Alpine tundras occur on mountain tops. Both types experience cold temperatures throughout the year. Because the temperatures are so cold, only the top layer of soil thaws during the summer; the rest of it remains frozen year round, a condition known as permafrost. Plants in the tundra are primarily lichens, shrubs, and brush. Tundras do not have trees. 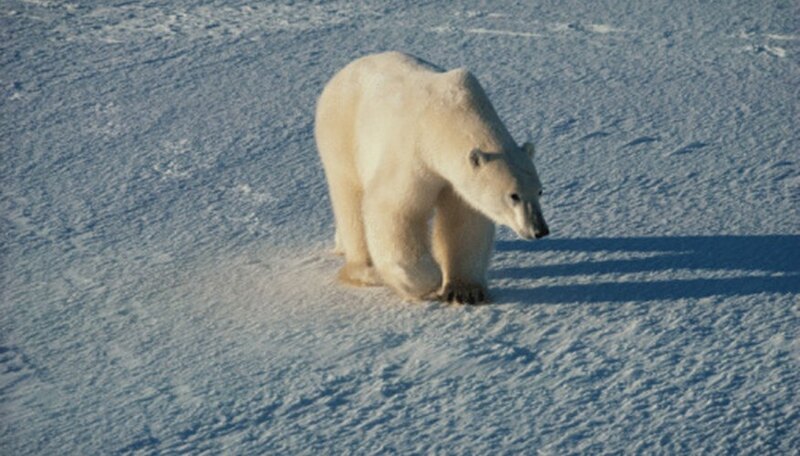 Most animals that live in the tundra migrate south or down the mountain for the winter. 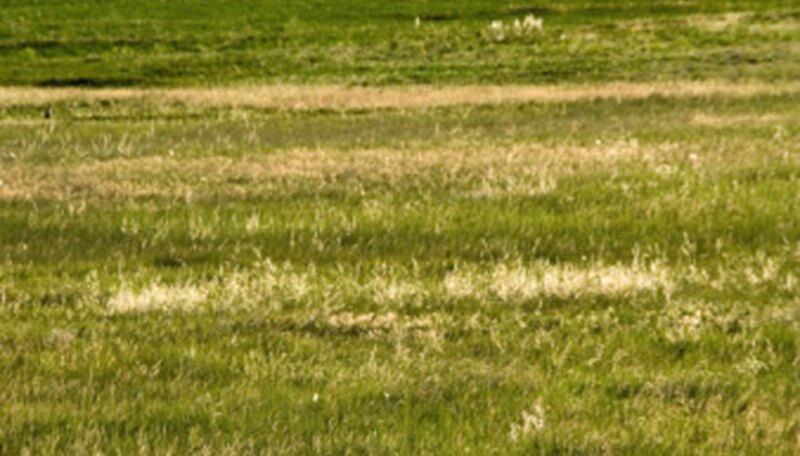 Grassland Conservation Counsel of British Colombia: What are Grasslands? Smith, Bruce. "What Are the Major Types of Terrestrial Ecosystems?" Sciencing, https://sciencing.com/major-types-terrestrial-ecosystems-8248888.html. 24 April 2017.